A top company executive said that Ashok Leyland Limited is planning to wrap up 23 of its 27 joint ventures in a bid to cut its debt and focus on core businesses. “What’s the point of having a joint venture if you are losing money in it? And we have too many of them. We plan to wrap up 23 of 27 joint ventures in the near term as the company plans to focus on its core business,” the Ashok Leyland executive said on condition of anonymity. Of the 23 joint ventures, three with Nissan in the areas of vehicle manufacturing, engine manufacturing and technology development stand terminated as the Indian company has moved the court against its Japanese partner over breach in partnership. 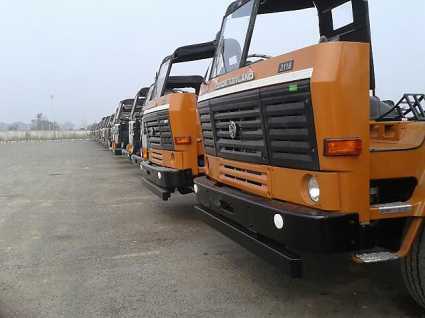 The other firms which the Chennai-based firm may sell or divest stake in are Ashley Alteams India Private Limited (manufacturer of aluminium high pressure die castings), Ashok Leyland John Deere Construction Equipment Company Private Limited, Ashley Airways Limited and Automotive Infotronics Private Limited, said a second person familiar with the development. The company also divested its stake in Mangalam Retail Services Limited and made it an associate of a subsidiary earlier. There is no such mandate to hive off all subsidiaries. This is normal procedure for any business,” said an Ashok Leyland spokesperson in response to a detailed questionnaire. In the year ended 31 March, Leyland sold off Ashok Leyland Wind Energy Limited and Avia Ashok Leyland Motors (along with its subsidiaries Avia Trucks UK Limited, Great Britain, and Avia Ashok Leyland Rus, Russia). The company is trying to pare its debt by selling non-core assets and has so far managed to bring it down from INR 4,690.32 crore in 2013-14 to INR 3,349.72 crore in 2014-15, according to data provided by corporate database provider Capitaline. This was followed by many other initiatives to deleverage its balance sheet. A sale of non-core assets, which included the sale of a residential property in Chennai and a stake sale in IndusInd Bank Limited, among other things, yielded INR 670 crore. A qualified institutional placement (QIP) helped raise another INR 666 crore. The company also restructured the loan book and replaced short-term loans with long-term ones, helping it cut monthly interest payments and freeing up cash flow. It also put Albonair GmbH, the German arm which works on reducing vehicle emissions, and Czech Republic-based Avia up for sale. In 2009, Ashok Leyland formed a 50:50 joint venture with US-based John Deere for earth-moving equipment business and the first product was launched in November 2011. But since then only one product has been launched. With the infrastructure industry slowing down, and mining taking a hit due to a Supreme Court ban, the joint venture failed to scale up. Ashok Leyland now wants to get out of it. In November, the company wrote off INR 157 crore as a diminution in the value of its investment in the business.